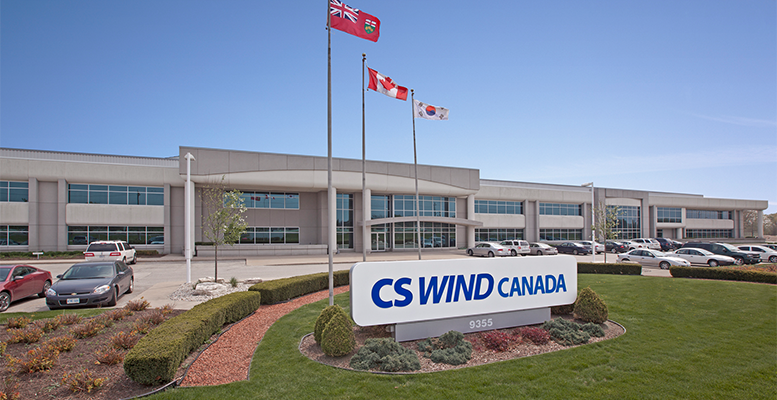 CS Wind in Windsor has been fined $75,000 after a worker was seriously injured on the job in 2017. The Ministry of Labour said the wind tower manufacturer pleaded guilty on Thursday. The court was told a worker suffered an undisclosed permanent injury on October 30, 2017, after material that was being cut apart fell during the facility’s shutdown. The worker was disassembling large metal rings that formed wind tower sections using an acetylene gas torch, to dispose of them as scrap metal. “As the cut completed, the flange piece turned inward and fell on the worker,” the ministry said in a news release issued late Thursday afternoon. The Ministry of Labour investigation determined that CS Wind did not provide workers with information, instruction and/or instruction with respect to a safe procedure for cutting wind tower sections. CS Wind was previously convicted on August 18, 2016 for failing to take every precaution reasonable to protect a worker. In that incident, a worker suffered multiple injuries from moving components of a wind tower under construction. The company was fined $60,000 for that offence. The ministry has confirmed the wind turbine manufacturer at 9355 Anchor Drive in Windsor is currently in “a state of shutdown”.